David Nowell, Ph.D. is a clinical neuropsychologist and Psychology Today contributor who is passionate about motivation and focus and fully engaged living. He offers neuropsychological evaluation and consultations, and speaks internationally to clinicians on topics such as improving diagnostic interview skills, conducting risk assessment, managing ADHD/Processing Disorders, and applying findings from Positive Psychology. 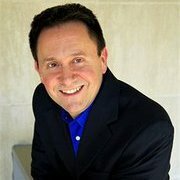 To learn more about Dr. Nowell and his work, visit drnowell.com.